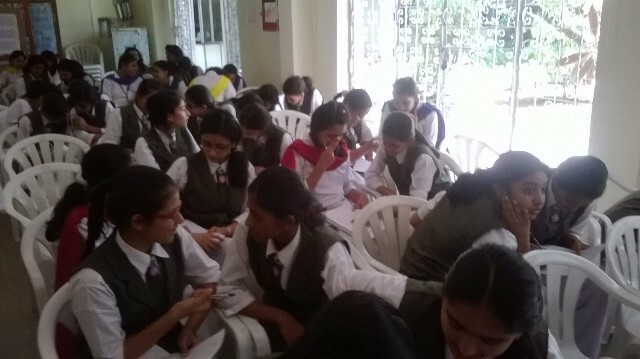 The first Literary Club meeting for the new academic year 2014-2015 was held on 25th June,2014. The students poured into the assembly hall in large numbers. Elections were held for the post of the President and Secretary. 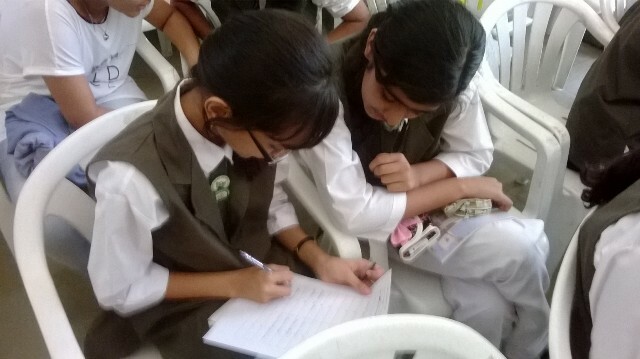 The winners were Ayesha Armish Khan of XII D and Dakshaa Singhvi of XII D respectively. An open discussion brought out many ideas regarding the activities to be conducted throughout the year. To end the meeting a quick game was held which entiled the students to write down the names of books which start with every letter of the alphabet. The games had the students and the teachers having a good time. The literary club meeting was held on 25th July. The meeting began with the club’s president encouraging the student to write short stories and article so that they could be published and it would help in developing the students writing skills. Then two sets of words games were played after that. The junior school had a word sleuth game with 55 words and the high school students played a game called “commonyms”. This activity has the students so engrossed that they didn’t want to stop when the time was up. Then the main activity of the day began. The activity was called “Once upon a time –today”, where students were asked to represent their favorite literary characters along with their modern counterpart. Shweta Mehta was judged the best for her modern interpretation of Touchstone from As you like it. All the other six participants were given prizes for their representations. The meeting ended with the announcement of results of the previous activities and prizes were given to the winners in both the Junior and the High school section. Since there is a long gap of a month till the next meeting the students were given an activity of designing a book jacket of their own choice. There were two participants each from every standard. The judges highlighted the strengths and the weaknesses of every participants and healthy criticism of their work took place to ensure a better and a more confident debating session. Later, the girls were given sheets of paper with thirty word puzzles to be solved with in ten minutes. Every puzzle could be solved with a proverb, idiom or a figurative usage in English. Both these activities were highly appreciated by the girls. As is the practise, the winners were honoured and appreciated for their efforts. 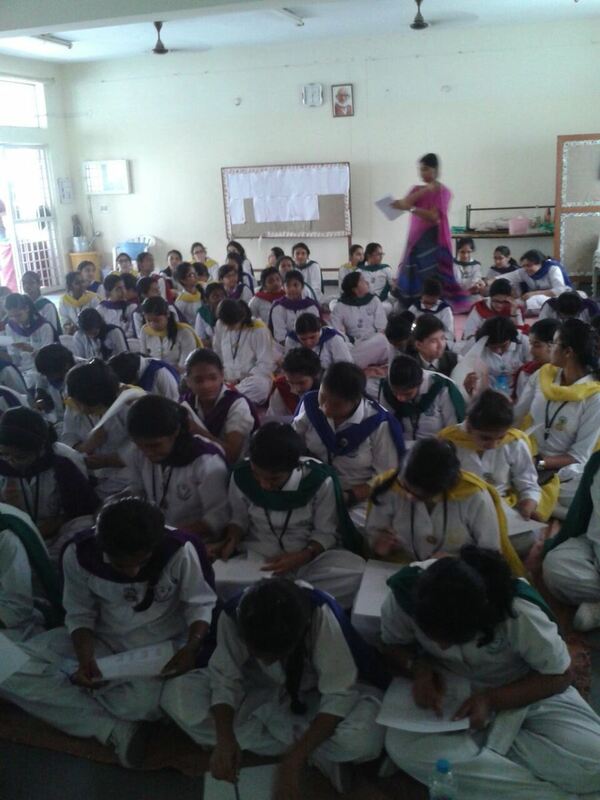 The literary club has been an immense success, leaving all the girls eager to join next year to participate in all the fun filled and exciting activities.